Eervar; the last pig in a litter. 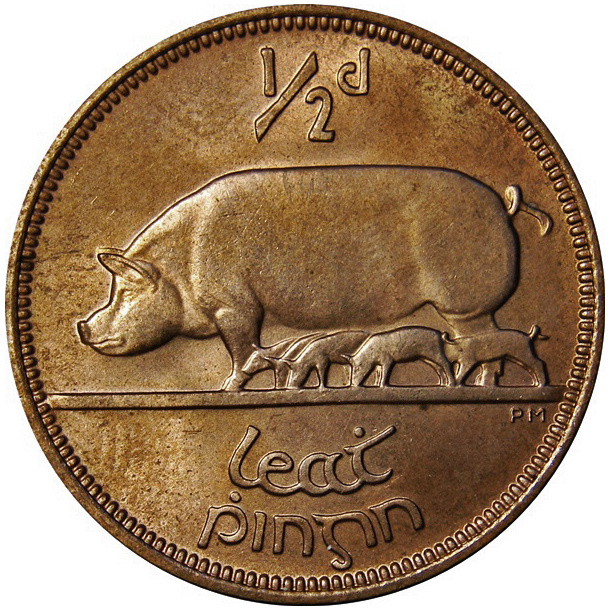 This bonnive [sucking-pig] being usually very small and hard to keep alive is often given to one of the children for a pet; and it is reared in great comfort in a warm bed by the kitchen fire, and fed on milk. I once, when a child, had an eervar of my own which was the joy of my life. Irish iarmhar [eervar], meaning ‘something after all the rest’; the hindmost. This entry was posted in Uncategorized and tagged 1910's, 20th Century, Animals, Ireland, Language, Mammals, P. W. Joyce, Pigs, Postcards. Bookmark the permalink.